Armand Baltazar's Illustrated Trilogy "Timeless"
If you've never heard of "The Weenies," that's because it's the toy and cartoon phenomenon that almost happened, but got cancelled before it fully rolled out. The concept was developed in 1983 by Mel Birnkrant, Mike Strouth, and Kiscom, and then purchased by Coleco to be the next big thing after Cabbage Patch Kids. The project got very far along, with an animated TV special scripted and storyboarded, and toy prototypes and packaging all ready to go, but financial problems at Coleco nixed the project. 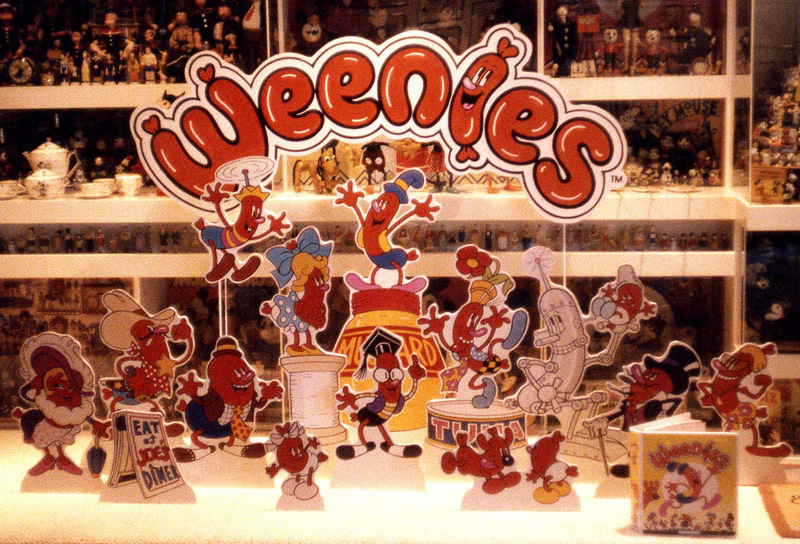 One of the artists who created the Weenies, Mel Birnkrant, has written a fascinating blow-by-blow account of how he and his colleagues developed the idea in a cascade of creativity, and the ups and downs of what happened along the way. It's a must-read for anyone involved in developing an animated series or toy concept or anyone interested in the behind-the-scenes workings of popular culture in the 1980s. Mel Birnkrant is one of the foremost collectors of classic comic character toys. 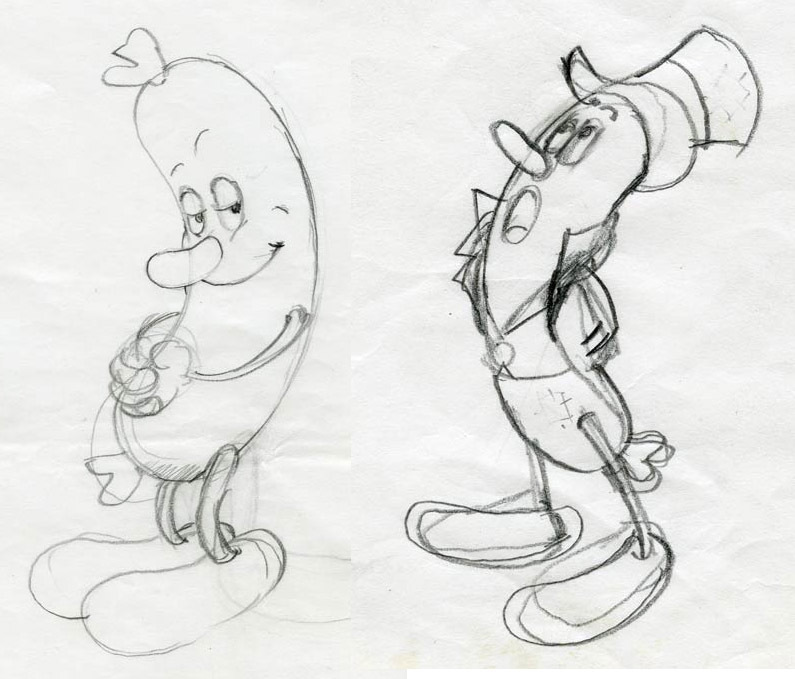 His design for the Weenies characters was inspired by the cartoons of the 1930s. Birnkrant was a friend of Disney animator Ward Kimball, and Birnkrant himself is a gifted cartoonist who turned down a job offer at the Disney studios when he was starting his career. 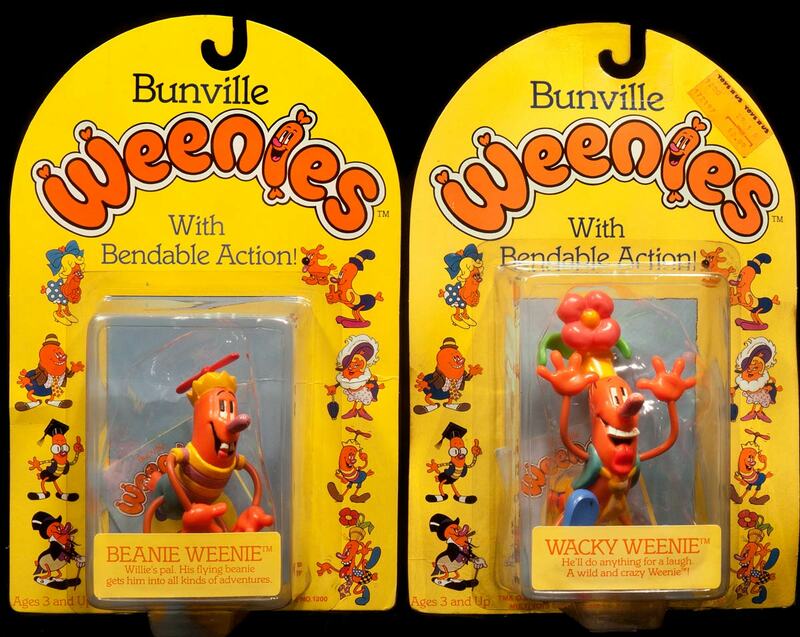 In the story of the Weenies, there are many lessons for artists and animators, such as the effect on the character's personality of a bending-forward spine versus a bending-backward spine. 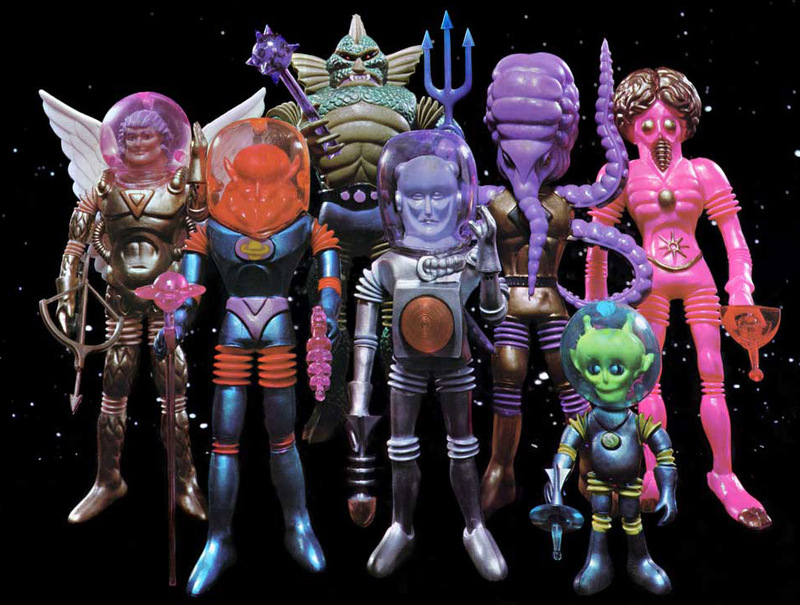 While you're at Birnkrant's site, you can also check out the story of his better-known toy creation, The Outer Space Men. 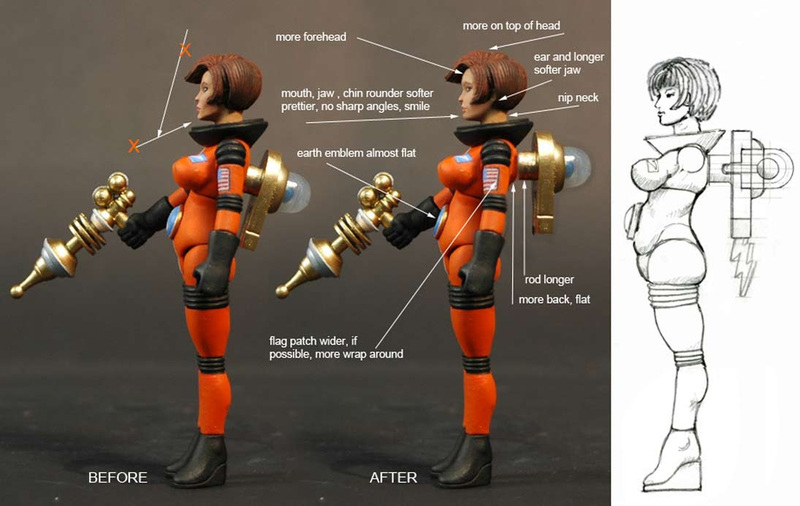 That site, along with the story of the revival of the figures, is also very deep, chronicling the development of the action figures, with lots of art for new characters. As Birnkrant says, "It's a virtual textbook on how to work with unruly sculptors." Just wanted to share Mary N.'s comment on FB: "People tend to criticize the '80s for the crass commercialism seen between the toys and entertainment of that time, but really I don't think any other decade can touch it for the sheer amount of creative insanity it produced. I love seeing "new" ideas from it- thank you for sharing this!" I agree, Mary. My imagination was "raised" on 1980s pop culture, and the sheer force of creativity was incredible. Professor Gurney! I eagerly await your book on plein air. You always see the textless originals of great pieces by Haddon Sundblom or something, then you see the finished one where they overlay a bunch of text about Coca Cola in it. Was this always a post-original process, or did they ever put the text right into the painting? And for a computer-wrecked kid like myself, if they're manually setting typeface to stamp on there, how'd they go about that kind of process? People still love a well rendered piece, but in the age of a million fonts available at the click of a button, this seems like a dead art to me. Any good book resources for this sort of process? Oscar, I'm going to attempt an answer to your excellent question, and maybe someone who knows more will help me out, too. In the case of Saturday Evening Post and other early 20th century magazine covers, I've noticed that sometimes the originals have painted lettering, and sometimes not, and I'm not sure why that is. I have also wondered which illustrators did their own lettering and which ones hired out, and how that worked. When I worked in a couple of small ad agencies and local newspapers in the 1980s, we would have added some type layers by putting them on an overlay layer that was registered or lined up with the background art. Those type layers could either be hand lettering or machine-set type on strips of paper pasted to the overlay with rubber cement or wax. The overlays could be either tracing paper or clear acetate. Those overlays were aligned with pins or taped to the top of the board and little bullseye marks called registration marks let the printer line them up together. The first runs off the press were usually out of register. Overlays could be used for the black plate of a 4-color run, or they could be used for a key color, such as red. Many jobs were printed with just black and one overlay color. You are the BEST!!! You're definitely securing a legacy among Loomis, Pyle, Rembrandt, et al with your clear love of teaching and mentorship via your blog and publications. I hope you know how fantastic a legacy that is. Next time someone is mad at you, read this loving comment out loud. I know typeface in digital is super easy. My hope for my current canvas project is (a la the best calligraphy of the best illustrators of yore) I can hand letter the obvious big important brand letters, then do something else for the filler text. But now I'm honestly painting canvasses looking backward toward people where the print final product was the goal, not the canvas. Arturo, so true and well put. What you say is true not only of the toy business, but also for artists who work in theme parks and movies, which require so much capital investment to be able to launch successfully. So many great projects get stalled for reasons that have nothing to to with the quality of the work itself. So as you say, you have to pour your love into it hoping for the best, but knowing that it might never get seen. That's a fascinating and compelling read. I've spent a couple of days reading all through 'The Colorform Years' and 'The Outer Space Men' before I even moved on to the Weenies. Now I just need to read the OSM revival. Then take a look at the rest of the site! Thanks, James! Although I'm going to assume this newer version is entirely coincidental, the similarities are interesting.